Olympic bronze medallist Yogeshwar Dutt and reigning Commonwealth Games champion Amit Kumar were among the 16 male wrestlers selected on Tuesday to represent India in the World Championships to be held in Las Vegas between September 7 and 12. The Wrestling Federation of India (WFI) selection committee picked the grapplers of both the Greco-Roman and Free Style categories during the selection trials conducted at the Indira Gandhi Indoor Stadium here. In the hard fought bout of Free Style 65 kg category, Yogeshwar beat Asian Championships gold medallist Amit Dhankhar 6-3, while in the 74 kg category, Olympian Narsingh Yadav beat Parveen Rana from Railway Sports Promotion Board 6-5 in a very close clash. In the 57 kg category, 2013 World Championships silver medallist Amit Kumar overcame Sandeep Tomar of Services Sports Control Board 3-2. Asian Games 2014 medallist Mausam Khatri (97 kg) also booked his berth for the World Championships as he ousted Satywart Kadian 6-0. 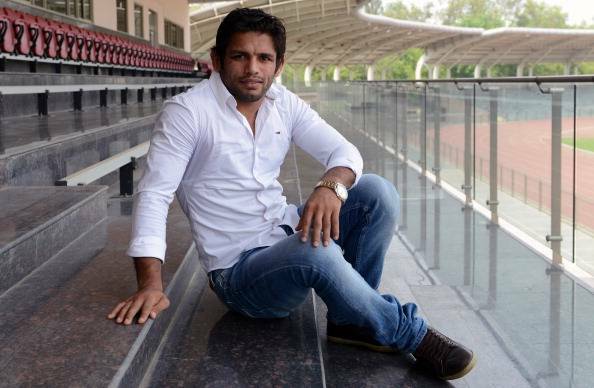 In the 61 kg category, Sonu from Haryana has only been selected for the Kazakhstan Tournament and will have to give final trial against Bajrang before the World Championships. 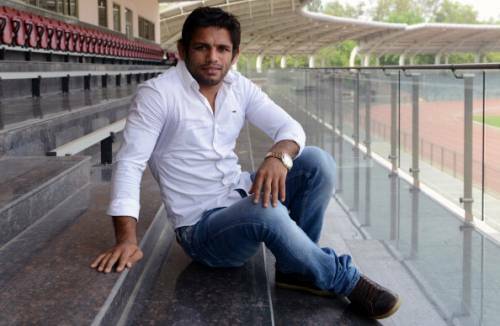 The 2013 World Championships bronze medallist Bajrang couldn't participate in the trials due to injury. The selection committee comprised WFI president Brij Bhushan Sharan Singh (chairman), secretary general V.N. Prasood (convener), vice-president R.K. Hooda, treasurer Bhola Nath Singh, joint secretary Darshan Lal, executive member and Olympian Jai Prakash, chief coach Kuldeep Singh, foreign expert Vladimer Mestvirishvili, coach Mahabir Prasad (Member) and foreign expert Emzar Makharadze selected the team. "The level of competition we have seen today in the trials shows that our preparations for the Rio Olympic Games are on right track. I am convinced with the performance of our wrestlers and confident that they will do much better in the World Championship this time," WFI president Sharan Singh said in a release. "Now this 16-member team will travel to Kazakhstan to participate in the International Wrestling Tournament which will be a good international exposure for our players". 86 kg: Naresh Kumar (RSPB) beat Gopal Yadav (RSPB) 7-3, 97 kg: Mausam Khatri (HAR) beat Satywart Kadian (HAR) 6-0, 125 kg: Sumit (RSPB) beat Krishan (HAR) 2-0.